Deciding which companies are ‘Corporate Governance Champions’ and which are not is an extremely challenging exercise. The fact is there is no ‘one size fits all’ approach to governance as each country, sector and organisation has its own unique structure and business culture that is constantly evolving. With these parameters in mind, we decided to take a more holistic approach by de-constructing “Corporate Governance” into its component parts and use an advanced screening and scoring methodology that is underpinned by hard data. Governance attributes are categorised under four pillars: Board Composition, Board Committees, Shareholder Rights and Transparency. Both the internal and external research teams further scrutinise the nominations through a thorough analysis of 120 governance factors which, in turn, is supported by a robust set of key performance indicators. This sophisticated scoring methodology strikes a critical balance between quantitatively-driven analysis based on correlations between governance factors and key financial metrics and the qualitative aspects of global governance standards and best practice in each region. All nominated candidates must meet all eligibility requirements. The company must be a publicly listed company (PLC) or a state owned enterprise (SOE’s) and must stand out in comparison to peers in the vertical industry for which they are nominated in. When is the deadline for submitting a nomination? Is there a fee to submit entries? The entire process is free of charge – from voting to evaluation, right through to the announcement of the award winners. How does the selection and judging process work? Nominations are received by our readership or from individual companies themselves through written submissions or by way of our on-line nomination form. There is a two pronged evaluation system; firstly, all candidates go through a due-diligence process which will separate the strong from the weak. Those who survive and make it into round two will be sent a questionnaire that has to be answered and returned within seven days, along with an executive summary and any supporting documents, such as press coverage, awards related to the category, or highlights of the proxy statement that relate to the category. This will all be scrutinised through a detailed analysis of 120 governance factors combined with a robust set of key performance indicators. Once the nominees have been decided, award winners will be informed individually. Who chooses the final winners? A panel of 4 adjudicators compromising of luminaries within the global governance sphere along with the editor will judge the final winners. 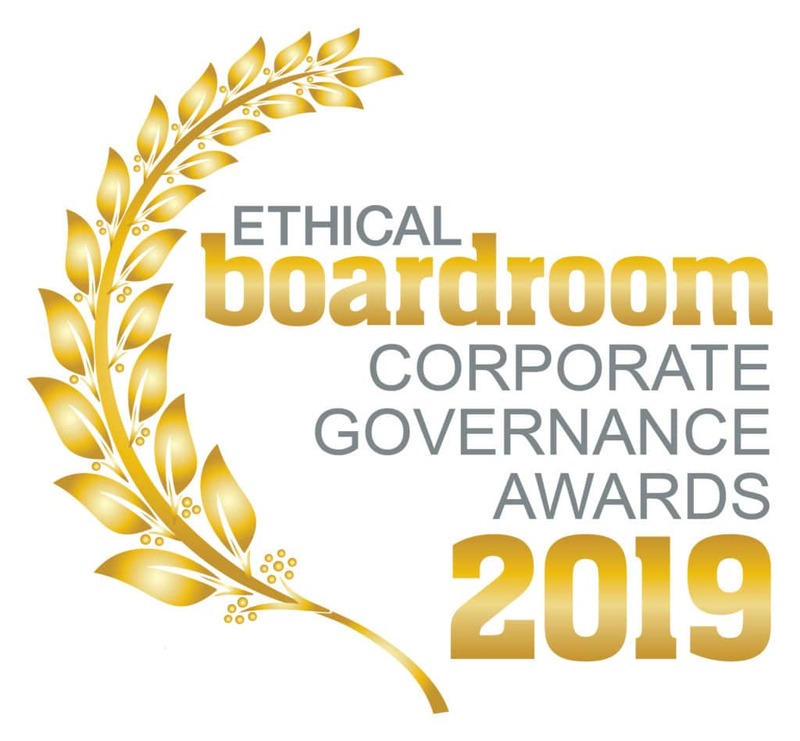 The official announcement of the 2019 award winners will be made in the winter, spring, summer & autumn editions of Ethical Boardroom which are published in January 2019, April 2019, July 2019 and October 2019 respectively. The identities of organisations entered in the nominations for the EBCGA will be kept confidential. No public disclosure of nominations will be made with the exception of those companies that are selected as the winners. Any nomination submitted and its supporting material will be kept confidential by Ethical Boardroom and its judging panel. Nomination materials (electronic or hard copy) submitted will be destroyed after the award winners have been notified. Nominations cannot be limited to one per IP address as this would prevent large numbers of individuals submitting votes from their workplace at large organisations, but the panel carefully exercises its expertise in ensuring that inappropriate companies receiving large numbers of votes are properly probed through our due-diligence team. As part of any such investigation our team will be able to check if statistically significant numbers of votes for a suspicious company originated from the same individual or group of IP addresses, and whether the details of these voters match the identifying IP address. Any data accessed for such purposes will be treated as confidential. Why do you believe the nominee deserves to win their category?